Scott Voigt is the founder and CEO of FullStory, where he markets, sells, supports, bookkeeps, washes dishes, and talks quite a bit when he drinks too much coffee (which is often). Prior to FullStory Scott and a few others started Homebase.io, a collaborative agile platform for marketing teams. Homebase helps teams organize marketing ideas, plan and execute efforts, and celebrate outcomes. Prior to Homebase, Scott spent six years at Silverpop in roles such as, including VP of Marketing. He also was a member of Noro-Moseley Partners, the Southeast's oldest and largest venture capital firm. 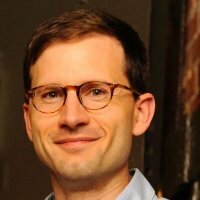 Voigt holds a Bachelor of Science in management from the Georgia Institute of Technology and a MBA in entrepreneurship and finance from the Wharton School.